Here are hymn printables for our hymn of the month families! 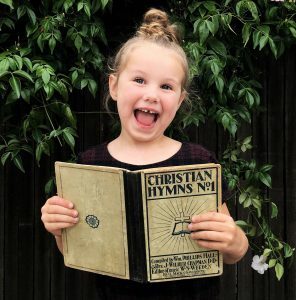 Use these free printables to build up your own family hymnbook! Some months include just lyrics, while some include various piano and/or guitar music sheets. Everything on Happy Hymnody is made available for you to use. Please don’t alter any resources or profit from them in any way. We are so glad to be worshipping the King along with you! March 2019 And Can it Be That I Should Gain?